The World of IT Financial Management Conference is coming up soon and Lontra will be there! Lontra President Boris Pevzner will be co-presenting a workshop on service costing. If you are planning to attend the conference, don't miss this workshop. Click here for more details or to register for the conference. This hands-on workshop addresses the foundation of the ITFM Capability Model -- Unit Cost Modeling. IT organizations need to understand the cost of delivering services to their customer so they can benchmark and trend their performance against industry standards. This presentation will be structured to provide you with the knowledge to begin developing a very effective service portfolio, costing, pricing, and planning infrastructure for your IT organization (business). Not only will you get advice and case study examples from your presentation leaders, but you will have the opportunity to gain knowledge that will enable you to begin an implementation. See here for more information. 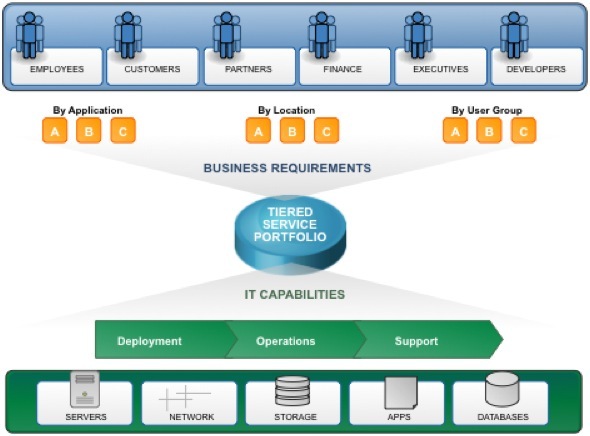 Need to define your IT Services? Determine their cost? Plan for future demand? Optimize your IT Budget? Lontra has a workshop for you. Lontra’s award-winning experts have helped the world's largest IT and shared services organizations achieve their strategic service performance objectives. Strategic Service Performance Management is about bridging the communication gap between an IT or shared service organization (service supplier) and its business customers (service consumers). Closing this gap has been shown to result in dramatically higher customer satisfaction and a significant reduction in the overall service delivery and support spend. Lontra is a team of IT Service Management (ITSM), and IT Financial Management (ITFM) experts with a proven track record of helping Global 1000 organizations to achieve this goal. We do this by leveraging our expertise in best-practices service catalogs and service portfolios, and in developing service-based costing, budgeting, and planning around them. At the core of Lontra’s education and consulting offerings is Lontra SUCSESS™ methodology, the innovative and proven Service Unit Costing Strategy for Enterprise Shared Services.